It’s not often I can say that I’ve been blown away by a gig or concert or whatever… but as soon as the greatest rapper on Earth rose up through the stage last night, I knew that myself and the whole arena were in for a treat. 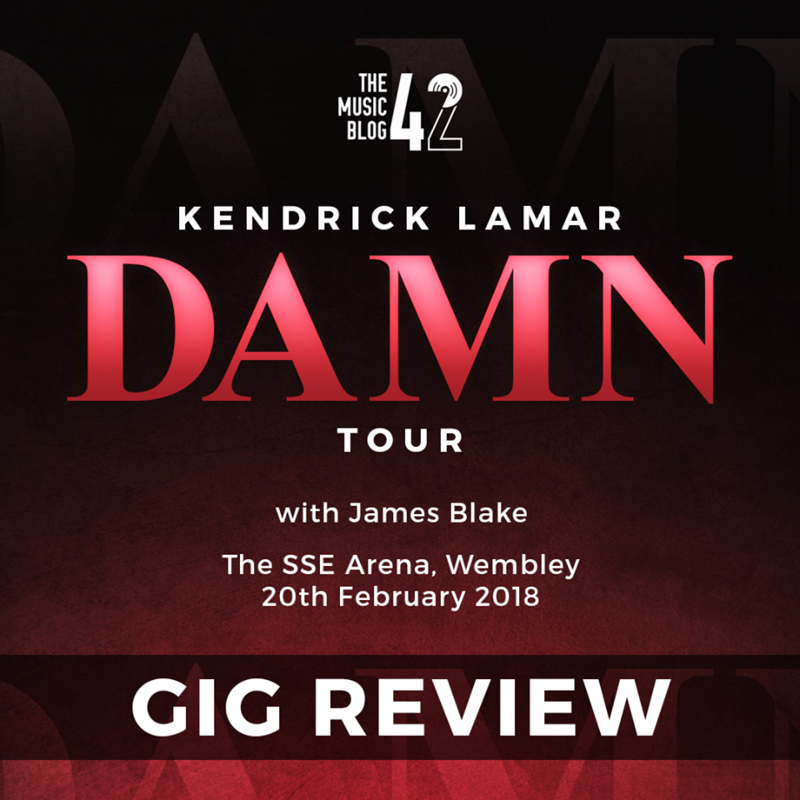 The cleverly-pieced together skits featuring the great man himself built hype at certain points of the spectacle (opening the show, moving from stage to stage) although it worked straight from the beginning, with K.Dot launching straight into the ferocious DNA. and the slightly tamer ELEMENT. from his latest offering DAMN. To open the night was an hour-long tranquil set from the heavily-underrated James Blake, having been invited on the European leg of The DAMN. Tour. Tracks like Limit To Your Love and Retrograde got the obvious best reception of the night, though he did tease new material which is hotly anticipated at TMB42 HQ. An album this year is what is most definitely needed. Now. Mostly all of the setlist came from the aforementioned record (No.2 in our Record of the Year longlist), PRIDE. and LUST. brought a calmness to what was a very in-your-face set which featured tracks from all of his major-label releases. Although he didn’t feature any tracks from his debut independent album section.80, we were treated to some of the highlights from second album good kid, M.A.A.D city: Backseat Freestyle and Swimming Pools (Drank) got an already rowdy audience even rowdier. Not to forget the implacable m.a.a.d city, a track that had me interested in Kendrick from the start. To Pimp A Butterfly sadly didn’t get the airtime it truly deserved, notable omissions were the huge These Walls, The Blacker The Berry and i, however, Kung Fu Kenny made up for it with the banging King Kunta and Alright, two tracks which sent the Wembley crowd into raptures. Rounding off the night with three rounds of his super-hit HUMBLE, one standard version, and two acapella, everyone knew the words, chanting back to Kendrick with excitement. He was in his element up on stage and he knew there was a mutual gratitude with his fans. A fitting encore of GOD. swiftly followed to close the night. Not many rappers come close to Kendrick, at the moment he’s the best in the world as an entertainer, lyricist and icon. If you ever get the chance to see the great man live, go.